I wear a bandanna when I know I'll be around people and taking my helmet off during our rides.... You can get them in lots of fun colors that match any riding gear or outfit. It also helps keep hair from getting in my face while riding. 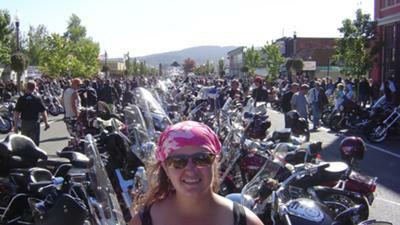 Wearing a bandanna on my head is definitely a must for me....I have several and don't go riding with-out them. Gotta have them!! !